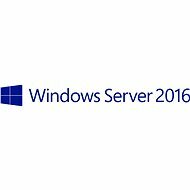 The Microsoft Windows Server operating system has earned its firm place in business deployment . The new 2012 R2 Foundation version is designed for deployment in smaller environments with a maximum of 15 users. This affordable solution allows you to take advantage of state-of-the-art technology and advanced solutions without breaking the bank. License restrictions apply only to Fujitsu branded servers that have only one physical processor. There is no need for any client licenses (so-called " CAL), and you can save money by purchasing an external backup disk. Can only be used for single-socket servers. Future owners need to note that Foundation version does not include the Hyper-V virtualization tool, clever VPN technology Direct Access, or the Server Core control mode. However, the system will easily handle the role of Active Directory, DHCP or an application server. Sharing printers, files, and precise multi-layered security is of course available. Microsoft solutions help you optimize information technology to meet your organization's unique needs in full. ATTENTION. This version does not allow remote terminal access to Remote Desktop Services, formerly known as Terminal Services. Only in the EU Done! 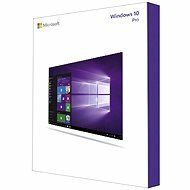 For shipping to other EU countries visit this page Fujitsu Microsoft Windows Server 2012 R2 Foundation - Only with Fujitsu Server. Für Versand nach Deutschland, besuchen Sie bitte Fujitsu Microsoft Windows Server 2012 R2 Foundation - nur mit dem Fujitsu Server. Chcete doručit zboží do Česka? Prohlédněte si Fujitsu Microsoft Windows Server 2012 R2 Foundation - pouze s Fujitsu serverem. Chcete doručiť tovar na Slovensko? 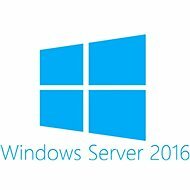 Prezrite si Fujitsu Microsoft Windows Server 2012 R2 Foundation - len s Fujitsu serverom. Für Versand nach Österreich, besuchen Sie bitte Fujitsu Microsoft Windows Server 2012 R2 Foundation - nur mit dem Fujitsu Server. Magyarországra történő kiszállításért tekintse meg ezt a termékoldalt: Fujitsu Microsoft Windows Server 2012 R2 Foundation - csak Fujitsu kiszolgálóval.